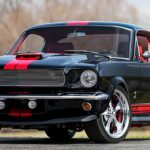 Mike Baldwin’s 1968 HEMI Barracuda Is The Real Deal! 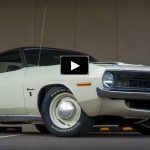 Although this 1968 Plymouth Barracuda restoration is performed back in 1999 the current owner Mike Baldwin who is a lifetime Mopar fan has never stopped enhancing the iconic muscle car. Mike has acquired a 1970 Road Runner at the age of 16 and wanted another Mopar ever since, but considering the four children him and his wife have it was literally impossible. 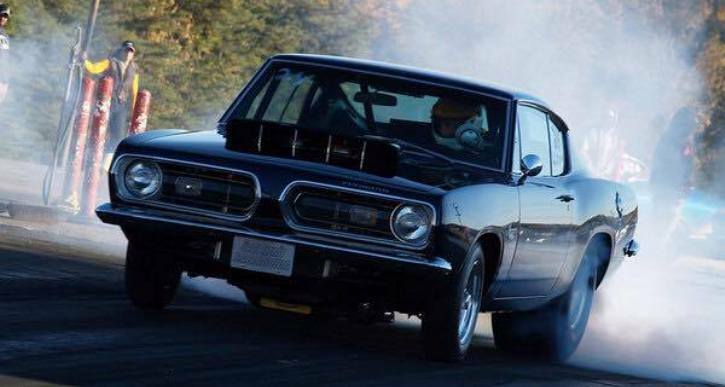 Luckily Mike’s oldest Son started to show interest towards old school Mopars, they spotted this 1968 Plymouth Barracuda on Ebay in 2001, traveled 9 hours to see it and fell in love right away. Today Mike’s 1968 Barracuda turns heads with laser straight body painted in Deep Purple with Ghosted Silver 528 HEMI markings on the hood, Ghosted side stripe and set of 15-inch Weld Racing Aluma Star wheels wrapped in fat Mickey Thomspon’s in the rear (ET Street 32×17.5×15). The car sits on QA-1 fully adjustable shocks all the way around and has a four-link rear suspension. 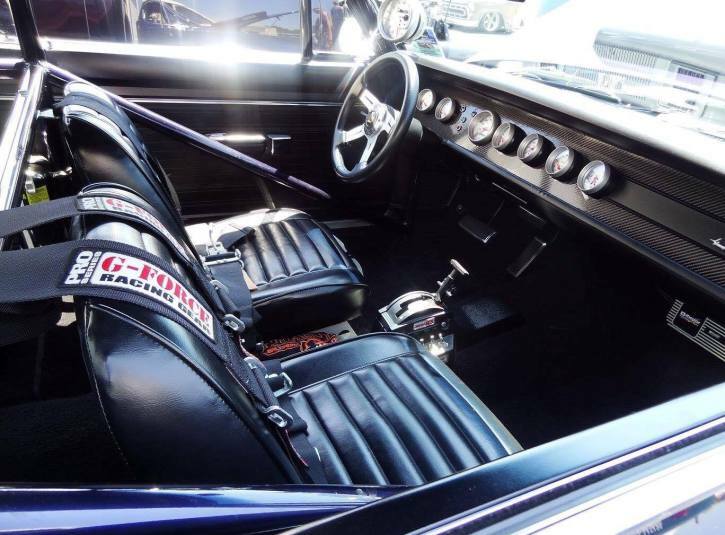 Inside the Purple Plymouth Barracuda you will see beautiful Black leather interior with 10-point roll cage, A100 van and super stock seats and set of Autometer gauges, but my favorite part about this Mopar is under the fiberglass hood. 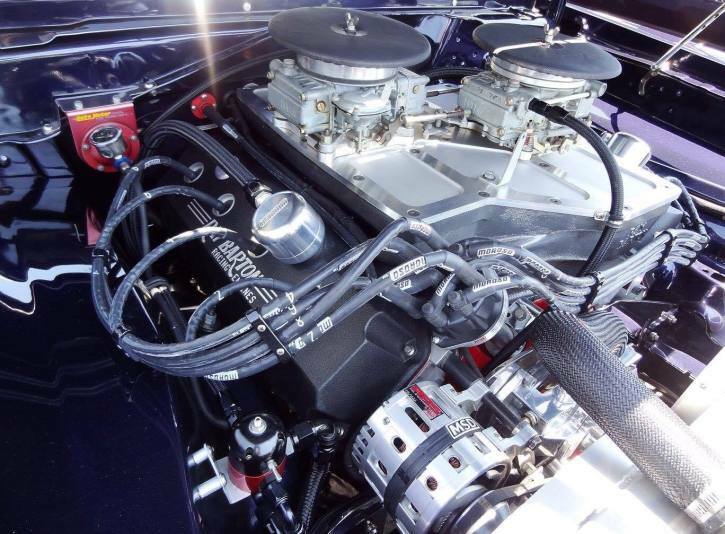 Mike has replaced the 474 cubic inch Muscle Motors V8 with a Ray Barton built cross-rammed 528 HEMI beast equipped with Dual Holley 770’s with Mopar Hemi Air Horns, Hedman headers and Aeromotive A1000 fuel system. Mike’s 1968 Plymouth HEMI Barracuda weighs 3300 lbs without the driver and kicks in 875 horsepower and 735 pounds torque sent through ATI race built 727 TorqueFlite auto transmission with LPW deep-finned pan, 9″ 4300-stall converter, Cheetah SCS Competition shifter, line locks, trans brake and Dana 60 rear end with 4.30 gears and Detroit Locker. I believe after reading all the above you won’t be surprised when I tell you that Mike Baldwin’s Purple 1968 Plymouth Barracuda 528 HEMI car has received multiple awards on variety of car shows and continue to turn heads everywhere it shows up. 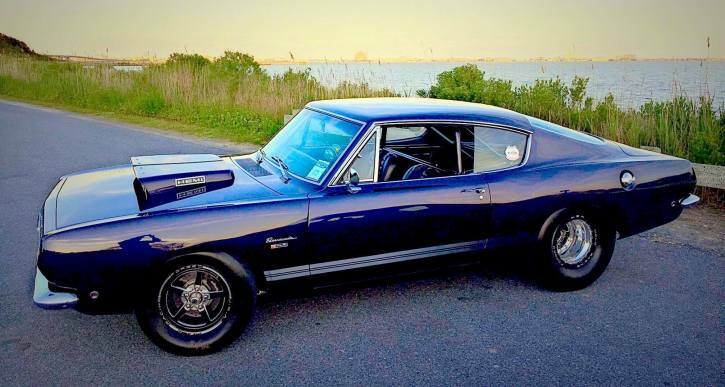 If you are as impressed as I am by this immaculate Mopar please don’t be selfish – SHARE with FRIENDS!